Great experience at my savings & loan! 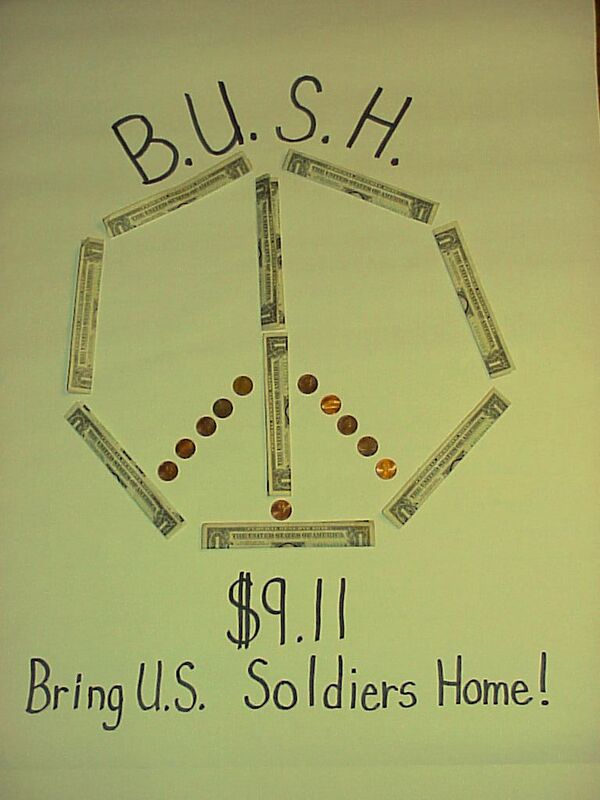 Told teller and bank manager about the boycott to bring U.S. soldiers home from Iraq. Both agreed that it was a good idea. 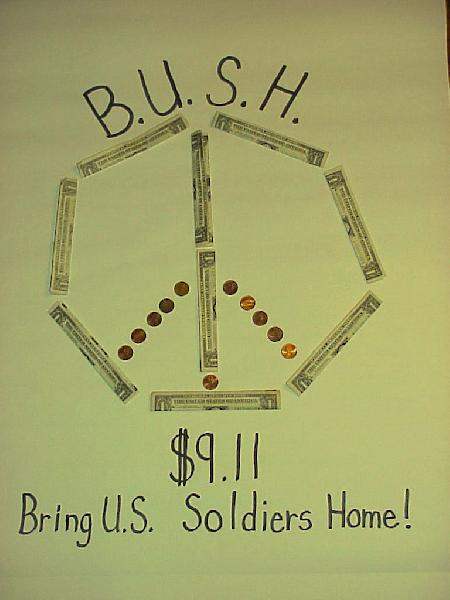 Will redeposit $9.11 in the bank when all soldiers are home from Iraq. I then emailed Ed Royce, my congressman, informing him of my participation in the B.U.S.H. boycott. B.U.S.H. Boycott, Phase 3, January 20, Inauguration Day! 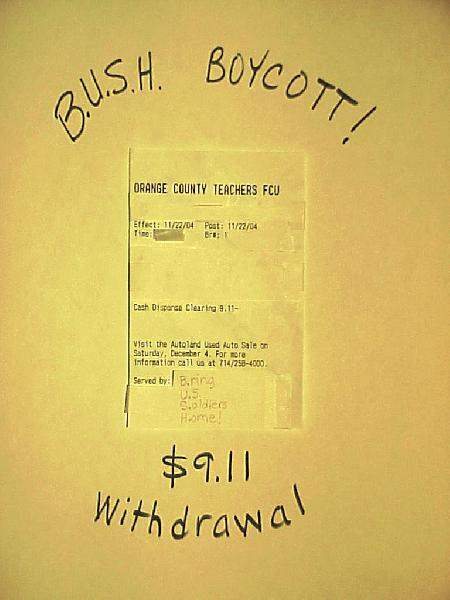 This is an enjoyable, educational boycott! I told the teller that I was withdrawing CASH out of my account, and that I would redeposit it when all U.S. soldiers were home from Iraq. She was very interested in what I had to say. She has a brother-in-law in the Navy, not deployed to Iraq, and a son, 15, who is in ROTC. She is very worried about the war and her son's future. 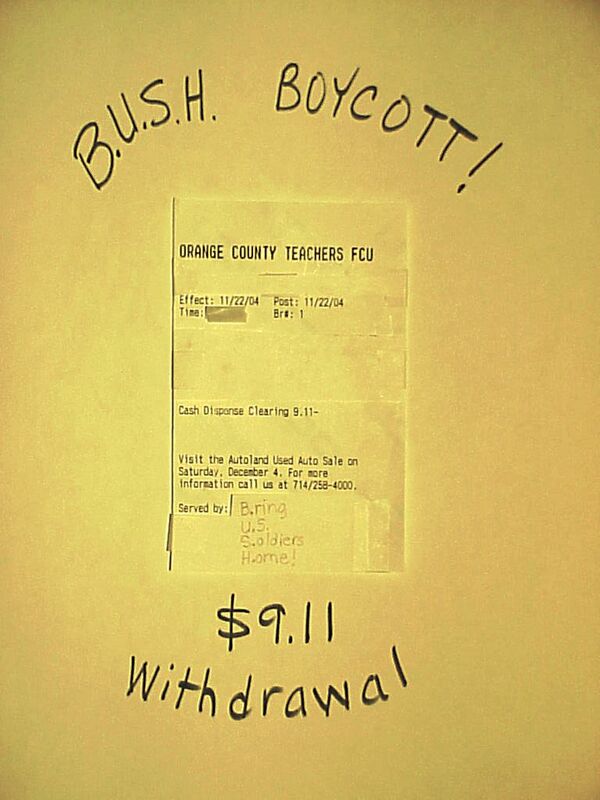 I spoke with the bank manager about the boycott, and she was openly supportive. Both were invited to participate in the next two B.U.S.H. Boycotts to bring United States Soldiers home from Iraq, December 22 and January 20, Inauguration Day! !